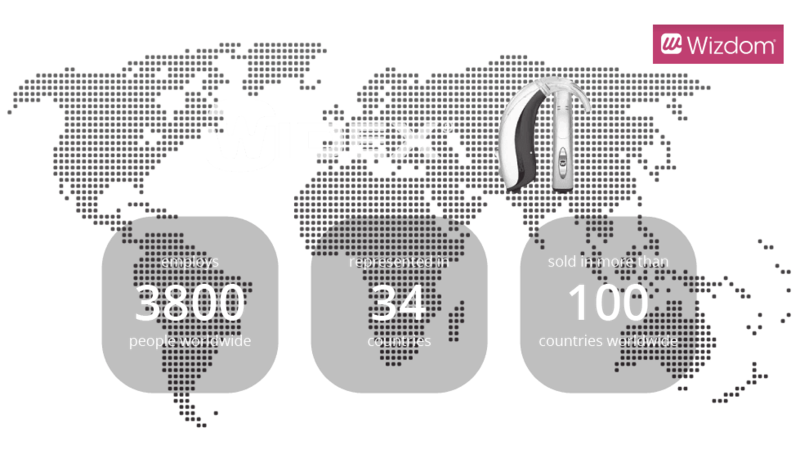 Widex is a family-owned company and the world’s sixth largest hearing aid manufacturer. They have been developing high quality hearing aids for more than 50 years and sell their products in almost 100 countries worldwide. Widex employs 3,800 people worldwide in more than 30 countries around the world. No shared digital location for all staff to cooperate and share resources and tools. To bring the global organization closer together and support the strategic goals of the organization, there was a need to create a global communication platform. A central, global communication channel for top management to inform staff. A digital location for staff to cooperate and share resources and tools. A platform that Widex employees across the global organization could access even though they share no common network or IT systems. A solution delivered within a very short time frame. As a ready-to-run intranet solution that’s easy to customize and use, Wizdom was able to support Widex in setting up a corporate intranet based on Office 365 in a very short time. Also as Wizdom Intranet is fully customizable, Widex have been able to custom build on top of the solution to match Widex’ needs. The fact that Wizdom is delivered as an add on to the cloud based Office 365, eliminated the challenge of sales companies and headquarters not sharing the same network. As the most immediate need for Widex was a communication channel to reach staff, news makes up the central part of the intranet. The news module uses a channel-based system that enables the distribution of news to selected groups of users. This means that corporate news is distributed to all staff, while country specific news is only made available to relevant groups of employees. This relvancy and personalisation helps drive engagement. The module offers editors as well as staff an intuitive experience that makes posting, reading and commenting news easy for everyone in the organization. The news module’s social features create a vibrant intranet with the option of commenting on and liking news. On the intranet home page, Widex’ CEO has his own blog where he keeps staff updated. Creating awareness of Widex’ common goals and direction throughout the entire organization. While all Widex’ employees share a common intranet platform and enter the intranet from the same home page, sales companies are offered their own local sub-sites. These sub-sites supply a perfect framework to share information, resources, processes and tools specific to the sales company in question. In addition, departments, project teams and communities are offered workspaces to facilitate collaboration and project management. This results in an intranet platform that supports an effective structure and provides a place for mutual processes. "The idea behind Wizdom is good. You get a product that will be further developed in order to include still more features"